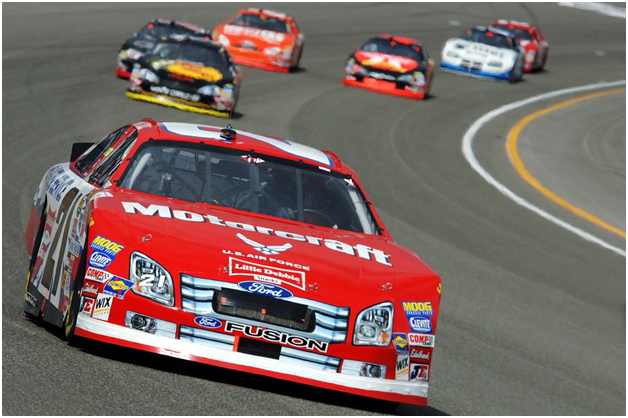 NASCAR is among the most popular motorsports in the US but is not perhaps as widely known in the rest of the world. So what exactly is it and how does it work? 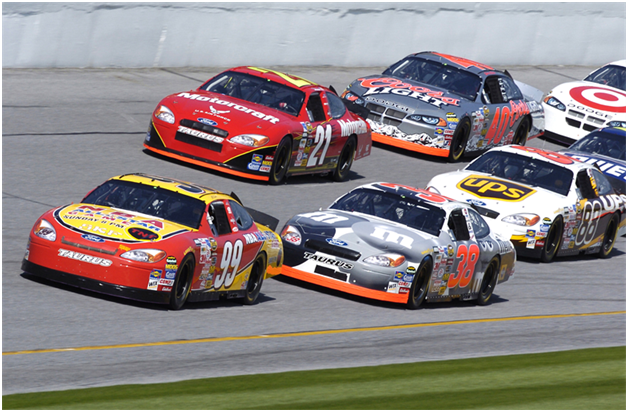 NASCAR stands for National Association for Stock Car Auto Racing, and its history goes back to 1948. This name can cause some confusion, because in the UK stock car racing involves smashing up old bangers. In the US it means that the cars have to be ‘stock’ - in other words, based on road-going models, though these days the resemblance to a car you can walk into a showroom and buy tends to be purely superficial. There are a number of different series under the NASCAR banner, though when most people use the term NASCAR they usually mean a series known as the Sprint Cup. As we’ve seen, competing cars have to look like a production road car, but under the skin they are very different. A typical Sprint Cup car weighs around 3,400 pounds (about one and a half tonnes) and must have a wheelbase measuring exactly 110 inches. Power comes from a 358 cubic inch (5.8 litre) V8, generating more than 750 horsepower. The Sprint Cup consists of 36 races held across 22 different circuits. Of these all but two are oval races - where the cars only turn left. The remaining pair are held on road circuits. The big event of the NASCAR calendar is the Daytona 500. This is very much an ‘All American’ show and a very different fan experience from visiting the F1 Paddock Club Italy, as arranged by https://edgeglobalevents.com/f1-paddock-club/f1-paddock-club-italy/. In the past the Sprint Cup has seen some of the legendary names of motorsport compete - people like Dale Earnhard, AJ Foyt and Mario Andretti, who went on to win the F1 world championship. Like any motorsport, NASCAR is all about the atmosphere of the event, and you only get that by being there yourself. TV doesn’t do it justice. NASCAR is an assault on the senses. The noise is loud enough to make your seat vibrate as the cars pass, and you also experience the smell of rubber and fuel and the bright colours of the cars and team staff. Attend a race and it’s sure to turn you into a fan.